Paralympic World Cup. This international multi-sport event for top athletes with disability was held annually in Manchester, England, from 2005 to 2012. No World Cups were held in 2013 and 2014, and there is no indication that the event could be resumed in the near future. 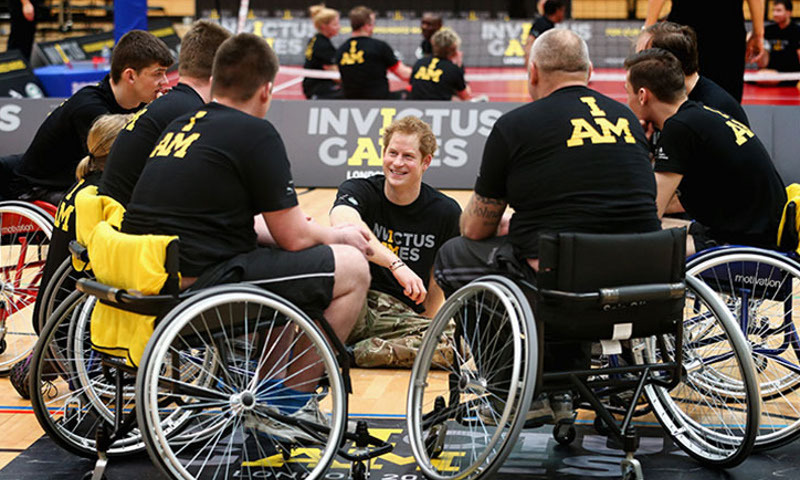 Invictus Games. The world of disabled competitive sports might have lost a lot with the discontinuation of the Paralympic World Cup but in 2014, it gained another major event - the Invictus Games. This international multi-sport event for wounded/injured military personnel was hosted by the Queen Elizabeth Olympic Park in London. Asian Para Games. Held for the first time in 2010, the Asian Para Games are the “successor” of the FESPIC Games (Far East and South Pacific Games for the Disabled) and as such, the central multi-sport event for disabled athletes in Asia. Parapan American Games. Held every four years since 1999, the Parapan American Games are basically the Pan American Games for athletes with disabilities. In addition to competing for medals, athletes who participate in the Parapan American Games also compete to qualify for the Paralympic Games. IBSA World Championship and Games. Organised by the IBSA (International Blind Sports Federation), this multi-sport event has been held every fourth year since 1998 with an aim to provide blind and partially sighted athletes with the opportunity to compete in a variety of sports. Deaflympics. The longest running international multi-sport event for disabled athletes, the Deaflympics is an elite competition for deaf and hearing impaired athletes. It is held every four years. Special Olympic World Games. The largest and most prestigious multi-sport event for children and adults with special needs is the flagship event of the Special Olympics. It has been held ever since 1968. Disability World Cups and Championships. In addition in various multi-sport competitions, disabled athletes also compete in numerous world cups and championship such as the IPC Athletics World Championship, IPC Disabled Alpine Skiing World Cup, UCI Para-Cycling Track World Championship, INAS World Football Championship, IPC Powerlifting World Championship, World Para Table Tennis Championship, and many other events that are held at local, national and international levels.